Houston Family Dental (Houston) - Book Appointment Online! 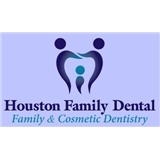 Conveniently located near highway 45 in South Houston, Texas, our small and high-quality office provides modern dentistry in a unique and caring environment. For your convenience, we have established a team of dental specialists in order to accommodate you with all your dental needs. At Houston Family Dental, you will receive personalized attention aiming to achieve your optimal dental health and to enhance the natural beauty of your smile. We are dedicated to providing cutting edge dental services by utilizing the newest techniques and state-of-the-art equipment that result in healthy, beautiful, and elegant smiles. I am a new patient and Dr. Khalil and his staff are one of the best dental offices i have attended. Everyone was very professional, patient and kind. I knew that i was in good hands and was very relaxed.